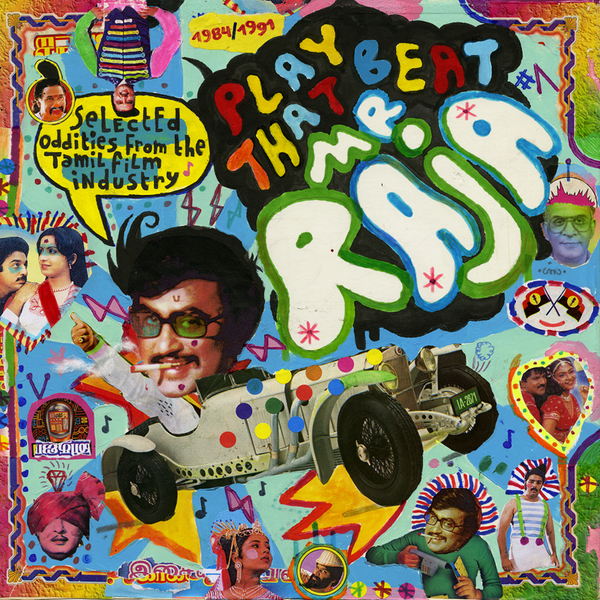 'Play That Beat Mr. Raja' is a gobsmacking compilation of recordings made for the Tamil film industry, taking in all manner of bizarre mid-late '80s sonics in the most beguiling, mindblowing manner. 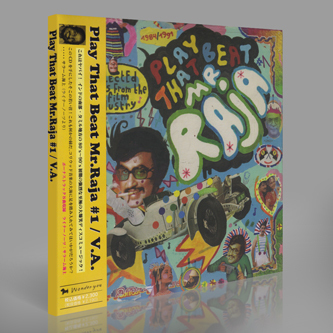 Like Charanjit Singh's 'Ten Raga's To A Disco Beat' or the Tafo Brothers' 'Plugged-in Pakistani Pops' it's an ear-opening exposé of the nascent, yet hugely sophisticated, electronic productions from this part of the world, making for a potently intoxicating experience to these Western sensibilities. To be fair, we're being a bit broad there, as this sound is really most specific to the Kollywood film industry based in the South Indian city of Chennai (formerly Madras) at the opposite end of the sub continent to Charanjit Singh and the Tafo Bros. It was compiled by the obsessives over at Cartilage Records, a team of Parisian bloggers/DJs and runs through eleven ecstatic fusions of truly insane drum machine acrobatics, slashing cinematic strings, the nuttiest analog synth sounds and the most charming vocals with an innate feel for daring structures and delirious composition. The sense of freedom and creativity is utterly endearing, placing familiar western concepts in a whole other context to leave us floored at every turn. Take the almost avian vocals and fractal arrangement of Japanil Kalyanaraman's opening 'Title Music' (1985) for starters, then just try keeping your composure when the machine funk and vocoders of Vikram's 'Vikram Vikram' (1986) hit, because we certainly couldn't! There's just too much to sink into, from the demented drum flurries of Mangamma Sabatham's 'Cola Cola Cola Cola' to the lethal street funk of Putham Puthu Nayagan's 'Nallmuzhuvathum' or the Ghost Box-like charm of Punnagai Mannan's 'Love Theme', all of it leaving us dazed and (almost) speechless. It's just droolworthy and totally ESSENTIAL!! !